Rev. 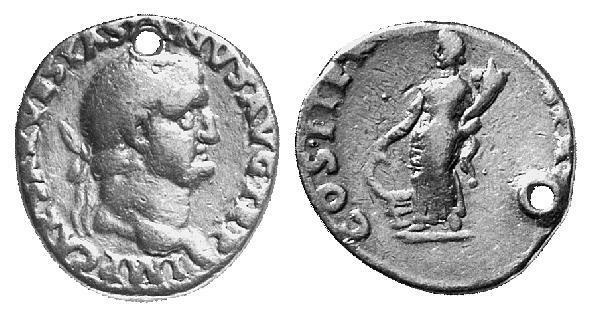 : TITVS ET DOMITIAN CAESARES PRIN IVEN, Titus and Domitianus riding r., r. holding spear. Rev. 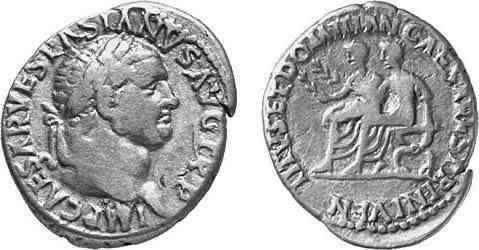 : TITVS ET DOMITIAN CAESARES PRIN IVEN, Titus and Domitianus seated l. on curule chair, each with branch in raised r. hand. Rev. 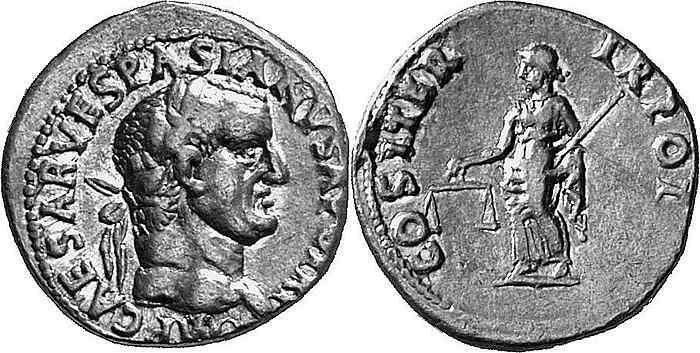 : TITVS ET DOMITIANVS CAESAR PRIN IVEN, Titus and Domitianus seated l. on curule chair, each with branch in raised r. hand. Rev. 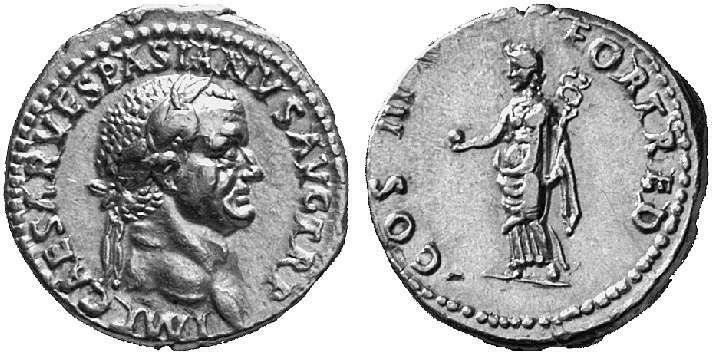 : TRIVMP AVG, Vespasianus stg. 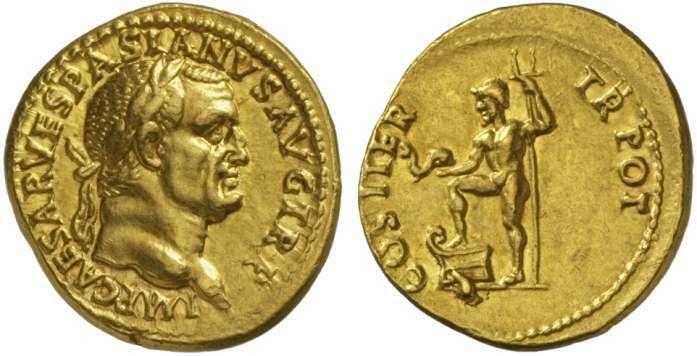 r. in quadriga, r. holding branch, l. sceptre, crowned by Victory, accompanied by trumpeter, soldier and captive. Rev. : VICTORIA AVGVST, Victory adv. l., r. holding wreath, l. palm. Rev. : VICTORIA AVGVST, Victory flying r., holding shield above head with both hands.